You already know that everyone loves comics. But did you know that EVERYONE loves them? It turns out that even the guys and gals who star in comic books are reading them these days. This awesome Everyone Loves Comics print by Tom Whalen is proof. Check out Spidey, Wonder Woman, Daredevil, Hulk, Batman and many more, all reading comics. They are probably checking out their own issues. The prints will be available on May 7, 2016 at New Wave Comics in Skippack, PA in honor of Free Comic Book Day. Tom will be around to sign and number the posters from 11 to 2 pm. 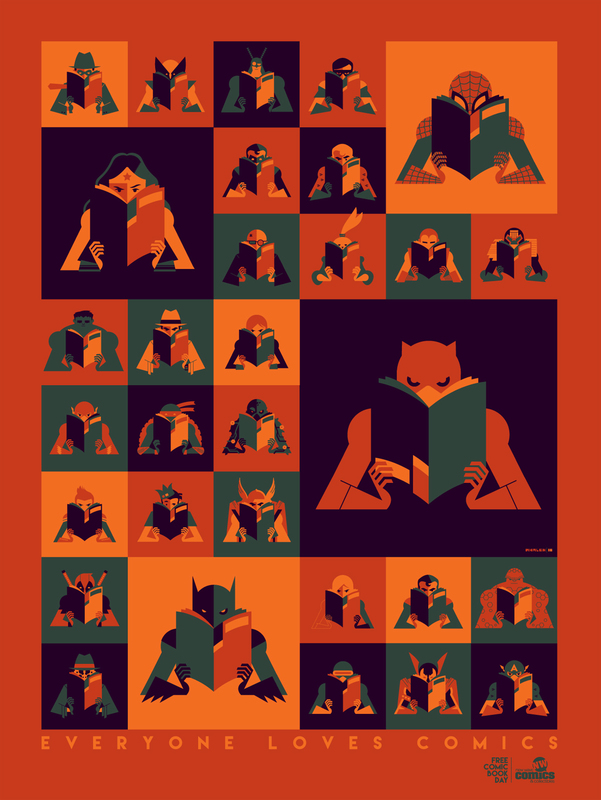 I really love the retro style and colors on this print and seeing these characters reading comics is just plain cool.